Made to order in 3-4 weeks. 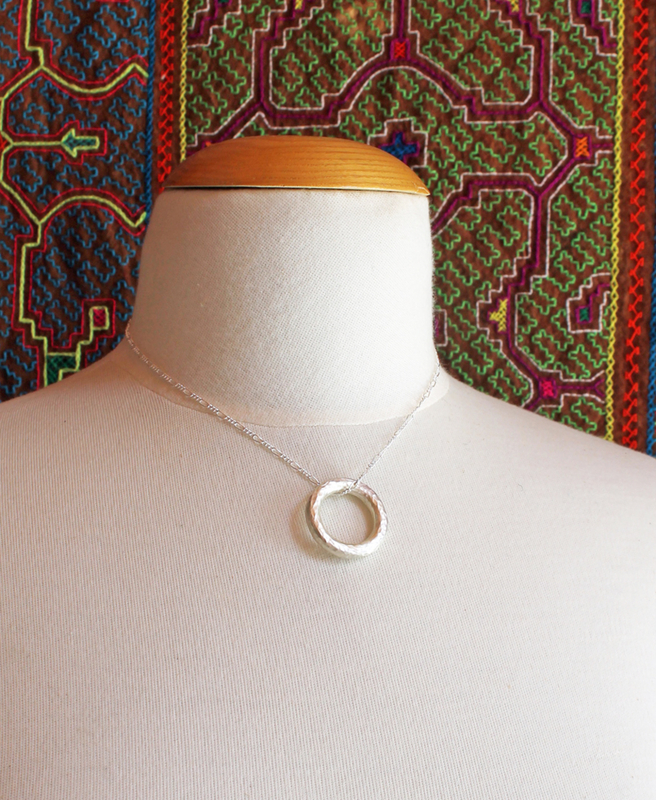 A stunningly simple yet substantial hammered sterling silver circle necklace, hand forged in the heart of the Spiral River, from 5mm diameter solid sterling silver. 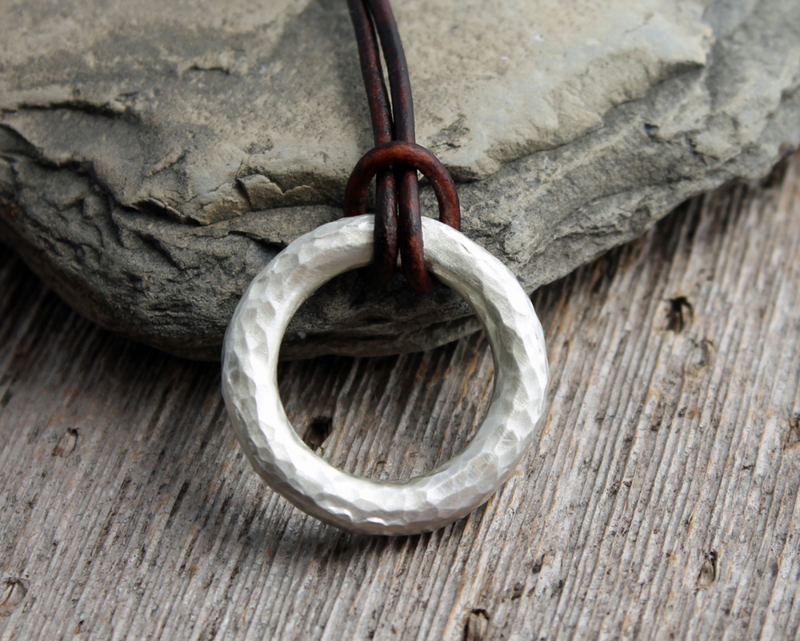 The sterling silver circle is about 1 1/8th" in diameter and hangs from your choice of a 18" sterling silver snake chain, a 16" sterling silver figaro chain, 2mm diameter adjustable leather cord or 36" heavy sterling cable chain (first photo).